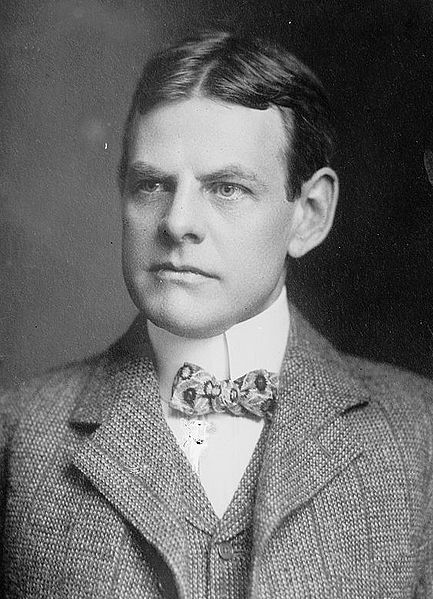 David Graham Phillips was a prominent muckraking journalist and novelist in the late 19th and early 20th century. Following the success of his first novel, The Great God Success, he was able to continue his career in fiction writing and begin work as a free lance journalist. Throughout this portion of his career, Phillips built a reputation for himself through writing socially critical articles for various magazines. As he advanced further in his career, he found himself focusing on exposing more political issues, specifically the corruption he saw happening in government. 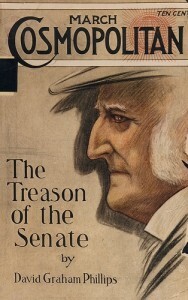 Phillips’ most influential piece was published in Cosmopolitan in 1906: The Treason of the Senate. 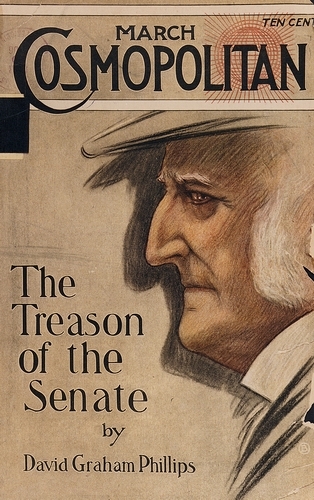 The article explored and exposed the benefits some campaign contributors received from certain members of the U.S. Senate. This article, along with other similar sensationalist pieces brought the issue of corporations’ influence in elections to the attention of the public. This would eventually become the spark that caused a push for change to the voting system by the public. The change eventually took form in the 17th Amendment, establishing direct election of senators by the public rather than state legislatures. This situation exposed one of the first of many U.S. political issues with articles that would both inform and influence the public opinion, solidifying the roll of journalists keeping the government in check.